Vishal Bharadwaj might make a comeback tonight after missing the last encounter for the Titans. Abozar Mighani, Rahul Chaudhari, Krushna Madane, Nilesh Salunke, Farhad Milaghardan, Anil Kumar, Mohsen Maghsoudlou. Ajay Thakur, MS Athul/Jasvir Singh, Sukesh Hegde, D Pradap, P Subramanian, Manjeet Chillar, Amit Hooda. 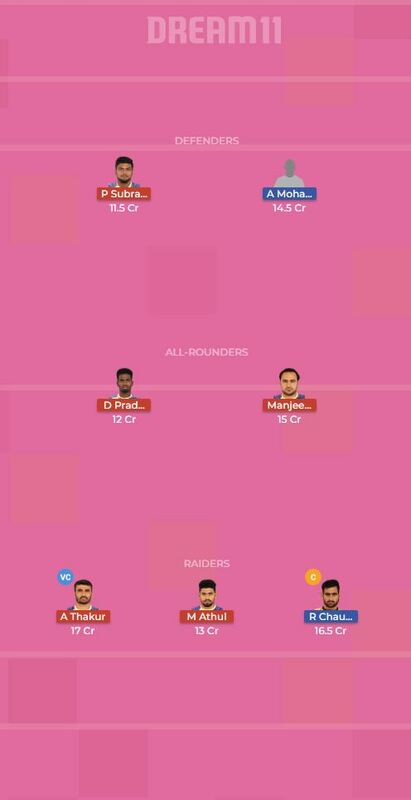 Among Raiders, Rahul Chaudhari and Ajay Thakur are the perfect fantasy picks as they have shown tremendous form this season. Ajay Thakur has picked 110 points in 11 matches so far while Rahul Chaudhari has scored 73 points in 9 matches. Vishal Bharadwaj didn’t feature in the last game and he remains a doubtful starter in this game as well. This makes him a risky pick for your fantasy team. 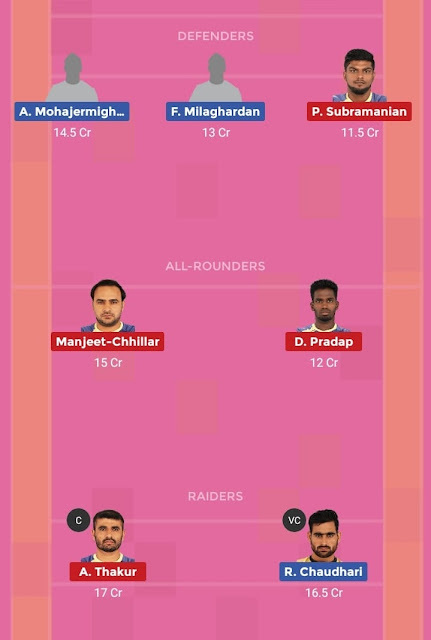 So rather than picking him as an all-rounder, you can pick D Pradap and Manjeet Chillar for your team.